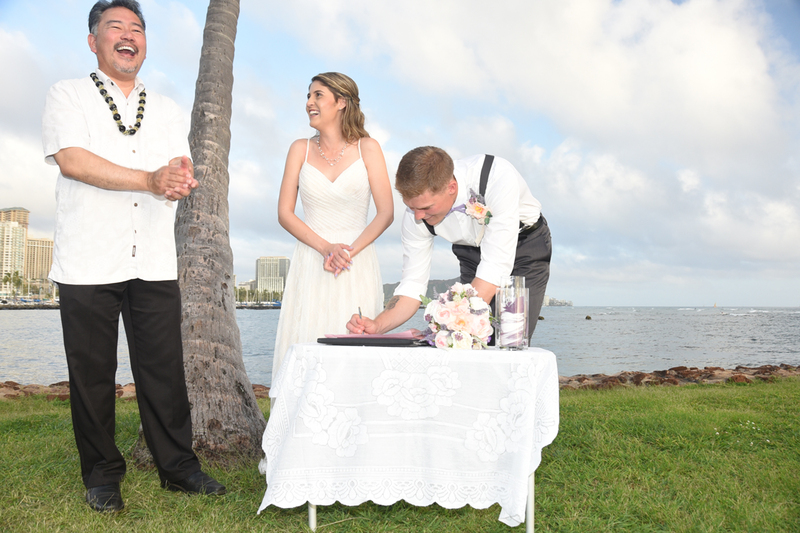 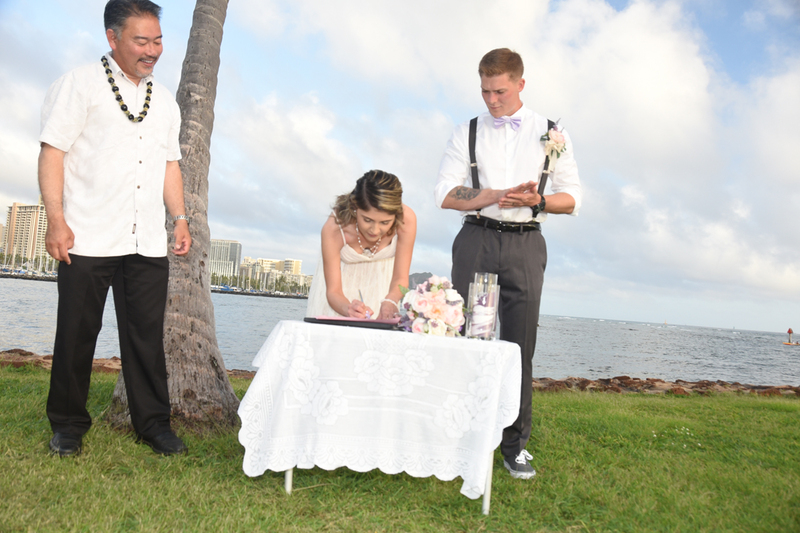 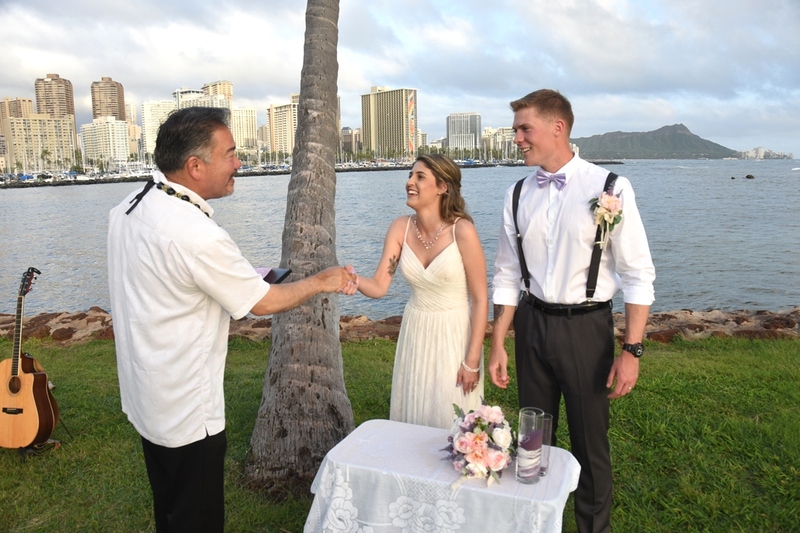 Bride and Groom sign their Hawaii Marriage License with Rev. 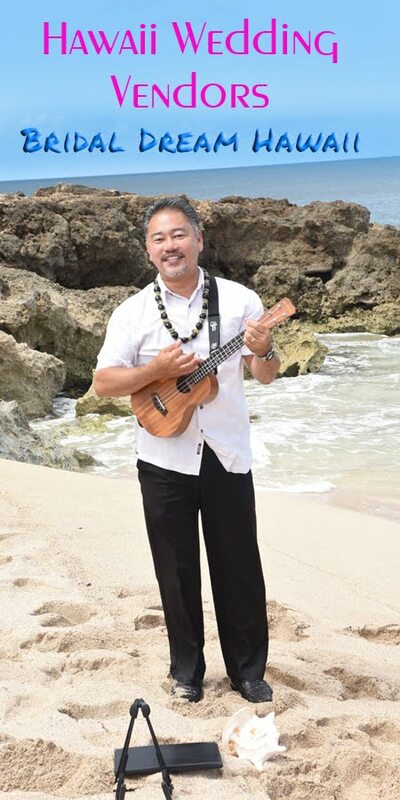 John Fuchigami. We don't always have a signing table available, but if you order Wedding Cake with your wedding package, or add a table for a Sand Ceremony, we can use it for Marriage License signing as well.